Four, 45-second runs, best run counts. Heats of 5. Top 5 advance to Final heat. Four, 30-second runs, best run counts. Heats of 10. Men and Women's Combined Division. Millennial Events has acquired a limited quantity of twin-sharing rooms for athletes and team managers. 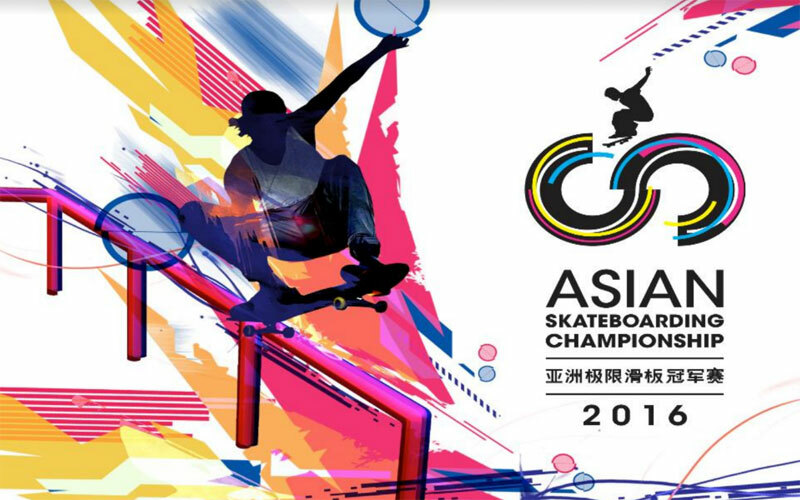 As the pinnacle skateboarding event in Asia sanctioned by the International Skateboarding Federation, the inaugural Asia Skateboarding Championship 2016 will attract more than 40 top skateboarders from more than 20 countries across Asia. They two key events will be Skateboard Street Competition (Men & Women) and Skateboard Bowl Invitational Competition (Mixed). Top Asian skateboarders will be competing for a total prize purse of RMB300,000.